Electrolytes are chemicals that break into ions (ionize) when they are dissolved in water. The positively-charged ions are called cations, while the negatively charged ions are called anions. Substances can be categorized as strong electrolytes, weak electrolytes, or nonelectrolytes. Strong electrolytes completely ionize in water. This means 100% of the dissolved chemical breaks into cations and anions. However, it does not mean the chemical completely dissolves in water! For example, some species are only slightly soluble in water, yet are strong electrolytes. This means that not very much dissolves, but all that does dissolve breaks into ions. An example is the strong base strontium hydroxide, Sr(OH)2. It has a low solubility in water, but dissociates completely into Sr2+ and OH– ions. While a flask of sodium hydroxide (NaOH) in water would contain Na+ and OH– ions in water, but no actual NaOH, a flask of aqueous strontium hydroxide would contain Sr2+ and OH– ions, Sr(OH)2, and water. Examples: Strong acids, strong bases, and salts are strong electrolytes. Weak electrolytes partially ionize in water. Pretty much any dissociation into ions between 0% and 100% makes a chemical a weak electrolyte, but in practice, around 1% to 10% of a weak electrolyte breaks into ions. Examples: Weak acids and weak bases are weak electrolytes. Most nitrogen-containing molecules are weak electrolytes. 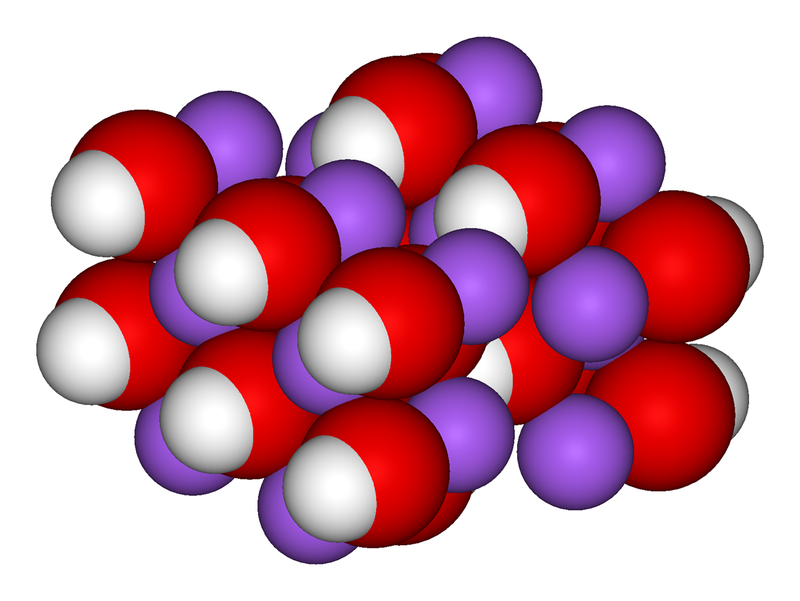 Water is considered a weak electrolyte by some sources because it partly dissociates into H+ and OH– ions, but a nonelectrolyte by other sources because only a very small amount of water dissociates into ions. If a substance doesn’t ionize in water at all, it’s a nonelectrolyte. Examples: Most carbon compounds are nonelectrolytes. Fats, sugars, and alcohols are largely nonelectrolytes. The most important reason to know whether a chemical is an electrolyte or not and how strongly it dissociates in water is because you need this information to determine the chemical reactions that can take place in water. Also, if you have a container of a chemical in water, it’s a good plan to know whether that substance dissolves in water (its solubility) and whether it dissociates into ions. A classic example of why this matters is a sodium cyanide (NaCN) solution. 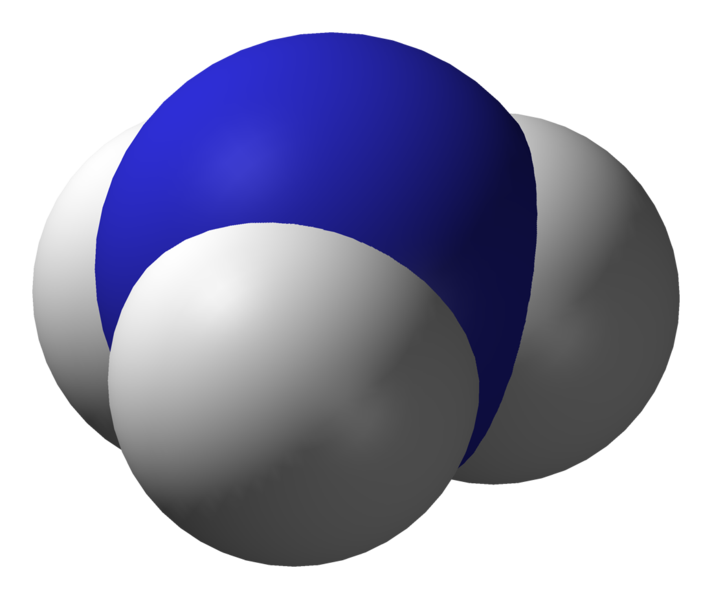 You probably know cyanide is reactive and extremely toxic, so would you open a bottle of sodium cyanide in water? If you recognize sodium cyanide is a salt, you’ll know you’re safe (providing you don’t drink the solution) because there is no sodium cyanide in the water, just Na+ and CN– ions in water. The cyanide ions aren’t volatile and won’t make you sick. Contrast this with a bottle of hydrogen cyanide (HCN) in water. Would you open that bottle? If you recognize hydrogen cyanide is a weak acid, you’ll know the bottle contains hydrogen cyanide gas, hydrogen ions, cyanide ions, and water. Opening that bottle could cost you your life! How Do You Know What Chemicals Are Electrolytes? Now that you’re motivated to know what an electrolyte is, you’re probably wondering how to tell what type of electrolyte a chemical is based on its name or structure. You do this by the process of elimination. Here are some steps to follow to identify strong, weak, and non electrolytes. Is it a strong acid? There are only 7 of them and you’ll encounter them a lot in chemistry, so it’s a good plan to memorize them. Strong acids are strong electrolyte. Is it a strong base? This is a slightly larger group than the strong acids, but you can identify the strong bases because they are metal hydroxides. Any element from the first two columns of the periodic table combined with a hydroxide is a strong base. Strong bases are strong electrolytes. Is it a salt? Salts are strong electrolytes. Does the chemical formula contain nitrogen or “N”? It may be a weak base, which would make it a weak electrolyte. Does the chemical formula start with hydrogen or “H”? It may be a weak acid, which would make it a weak electrolyte. Is it a carbon compound? Most organic compounds are nonelectrolytes. Is it none of the above? There’s a good chance it’s a nonelectrolyte, though it may be a weak electrolyte. This table summarizes groups of strong, weak, and nonelectrolytes, with examples of each category. this is fantastic. You get clean knowledge and get refreshed. concept is clearly illustrated with examples.